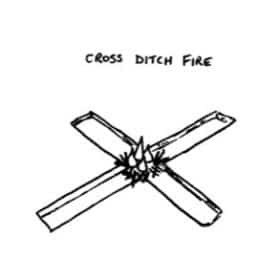 The Cross Ditch Fire is literally a cross of two ditches with a fire built in the middle. It is ideal for a quick build fire to swiftly cook a hot meal. 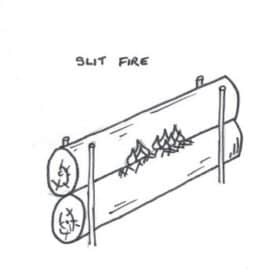 The Slit Fire from Finland where is known as a “rakovalkea” translated as “slit bonfire” gets its name from the slit seen between the two main burning logs. 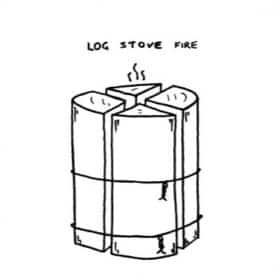 A Fire Bundle Stove bundles similarly sized small logs together then stands upright. It burns effectively and creates a hot and stable cooking surface. A Log Stove Fire effectively binds a split log back together that stands upright. 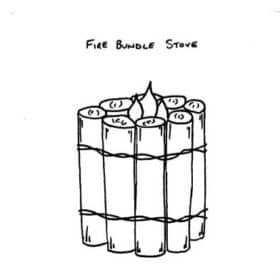 The bundling creates enough air so a fire can burn effectively to cook on. 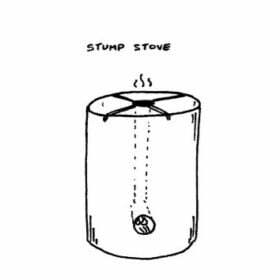 The Stump Stove uses the same design concept as a rocket stove, except built into a log that burns, thus becoming its own fuel source. Great for cooking on. 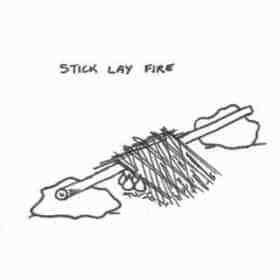 A Stick Lay Fire suspends a stick between two rocks to create an oxygen rich fire that can burn hard and strong for quick boiling or to make a bed of coals. 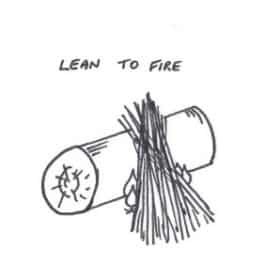 Lean To Fires take advantage of a solid log to act as both a wind break and strong support to build a fire on with a strong foundation for cooking fires. 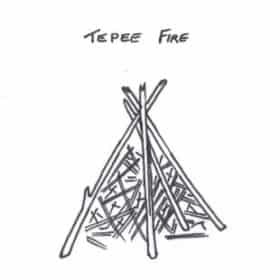 The Tepee Fire is one of the foundation fires, used to light other styles or fire arrangements. However the tepee fire can also be used standalone to cook on. 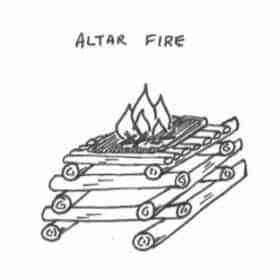 The Altar Fire is a fire built on a structure raising off the ground to avoid surfaces like marshes. 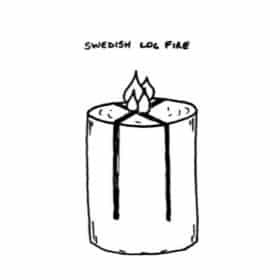 Once built the fire burns and is cooked on like normal. 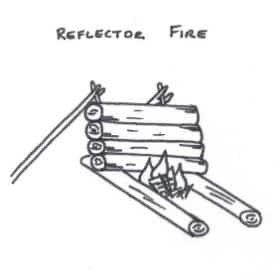 The Reflector Fire design is primarily a fire with a wall to reflect back heat, although mainly used in survival, it is also known for cooking baked goods. 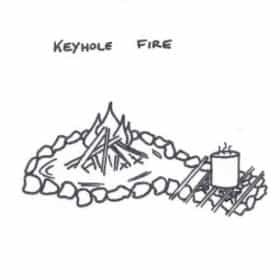 A Keyhole Fire looks exactly as its name suggests, like a keyhole, a large round part for the feeder fire, attached to a rectangle, for coals and cooking.